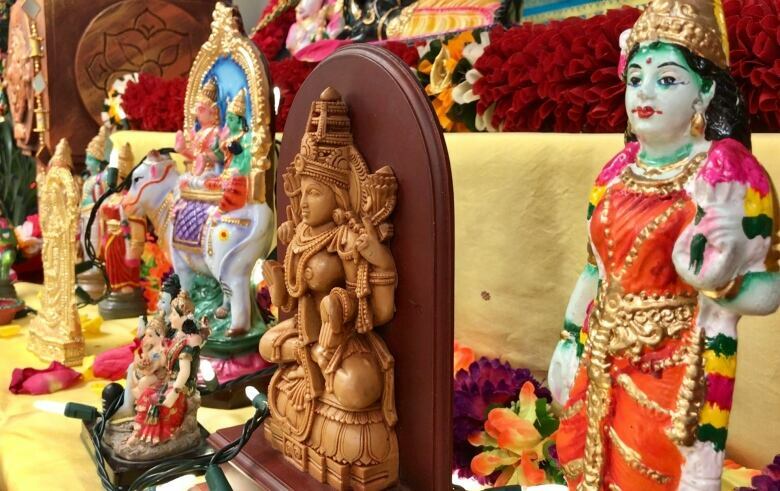 Hindus are celebrating across Calgary this week as the nine-day festival of Navratri is marked in countries and cities around the world. The autumn festival, which started on Tuesday, is dedicated to the nine forms of the Hindu goddess Durga. Part of the celebration involves worshiping around an altar, or Golu, made up of dozens of tiny colourful dolls and figurines, many passed down through families and generations, neatly arranged on steps. Each figurine has a story behind it relating to Hindu scriptures. 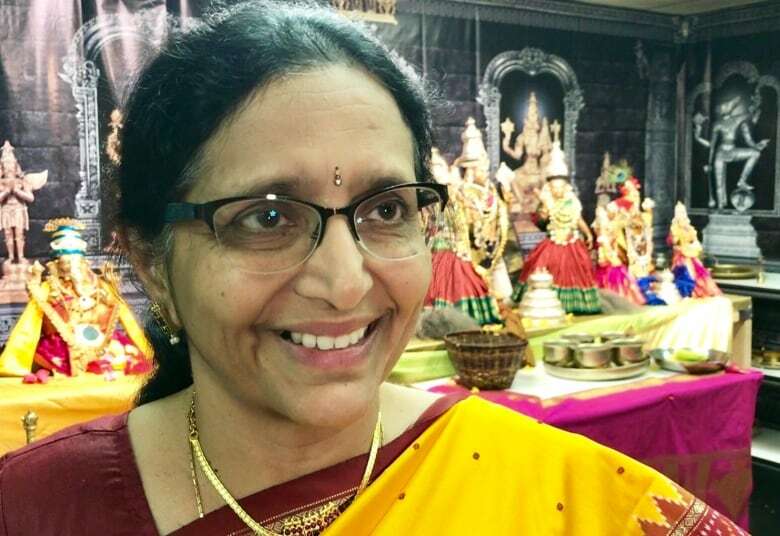 "'Nav' is nine and 'ratri' is night and the significance of this event is that it's dedicated to the Goddesses," said Maha Narasimhan, who was celebrating at an event in northeast Calgary. 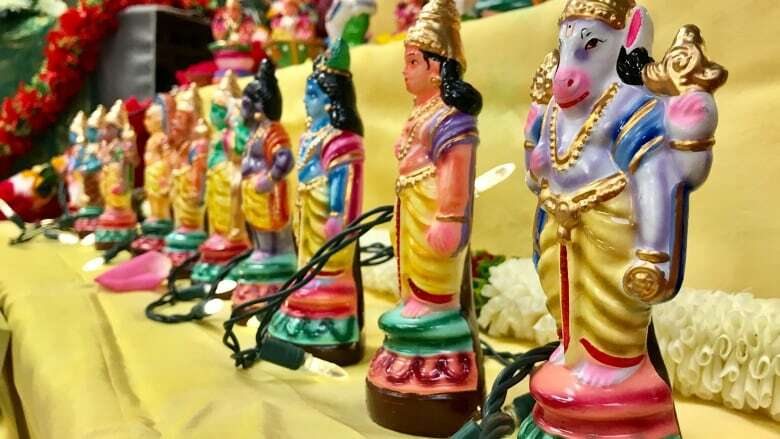 "The figurines, that's an arrangement we do for the nine days and it represents that we have a temple with deities in our house and we welcome them into our abode and we celebrate. And the main thing to emphasize is that it's for women," said Narasimhan. The first three days of Navratri are dedicated the goddess Durga followed by three days dedicated to goddess Lakshmi and then the last three days celebrate the goddess Saraswati. "It's really powerful that it's the women that lead these three aspects," said Narasimhan. Hindus from different parts of India all celebrate the event differently with some different interpretations, but sharing common history. Some regions celebrate male Gods while others celebrate Krishna or the nine forms of the goddess Durga, which is the case for Indians from the south of the country. Some fast during the festival while others don't. 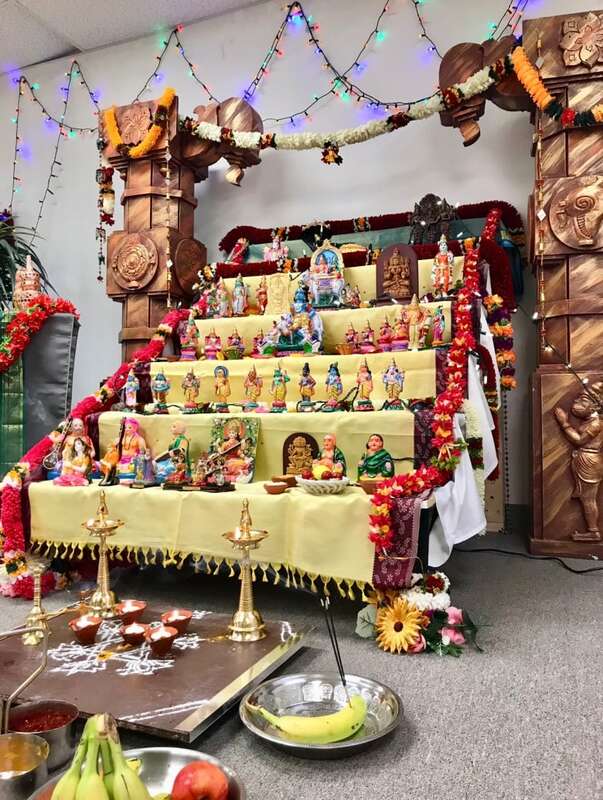 As well as worshiping the nine goddesses, music, singing and dancing is another big and universal part of Navratri, with music schools and dance groups across Calgary taking part in different events over the nine days. 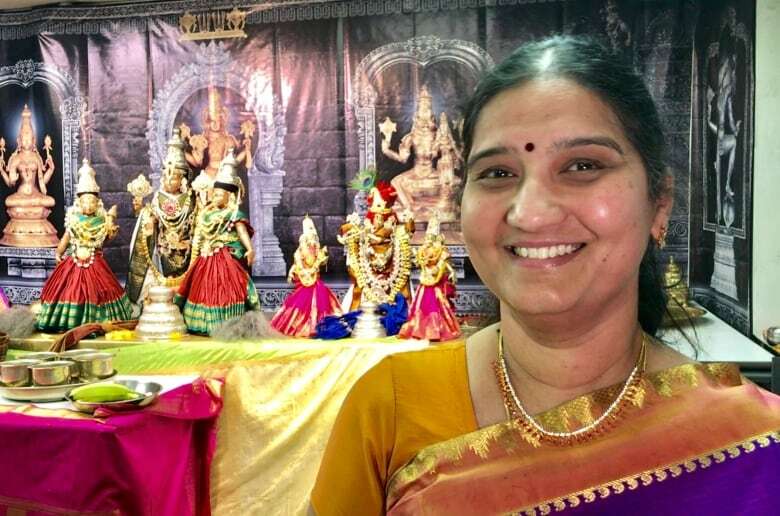 "Our music and religion is intertwined and music and dance cannot be separated from our religion," said Usha Pattabhiraman​, one of the Sanatan Hindu Cultural Society founders. 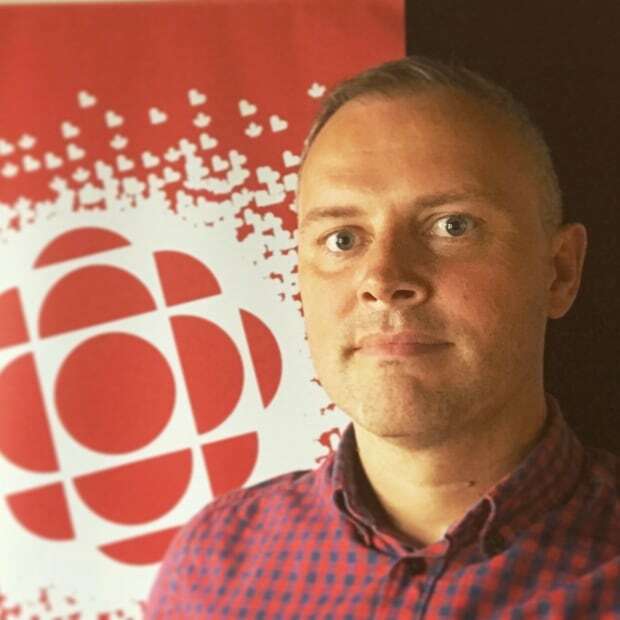 "The future generation, because they're not aware and they're so far away from home, if we don't do things like this they'll be cut off from our roots and we don't want that to happen," Pattabhiraman​ said. "So that was our main goal when we started this, to bring our community together and make them aware that this happens back home so they get to participate and enjoy," said Pattabhiraman​. Each day of Navratri has its own significance including different colours. The festival typically happens four times every year but the autumn festival is the most widely celebrated. Navratri wraps up on Oct. 18.